Portal, and its sequel, Portal 2 released in 2011, has an enduring fanbase. 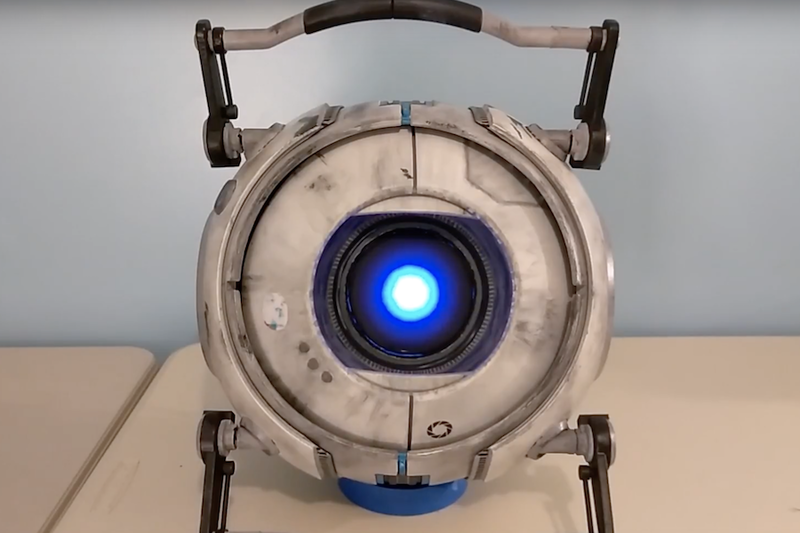 One such fan — Luke Albertson — proved his devotion to this franchise by creating a Wheatley Personality Core from the game over the course of two years. It’s constructed out of 3D-printed parts and controlled by an Arduino Uno with a Bluetooth shield. This allows for control via a PS3 controller with the appropriate Aperture Laboratories labeling. 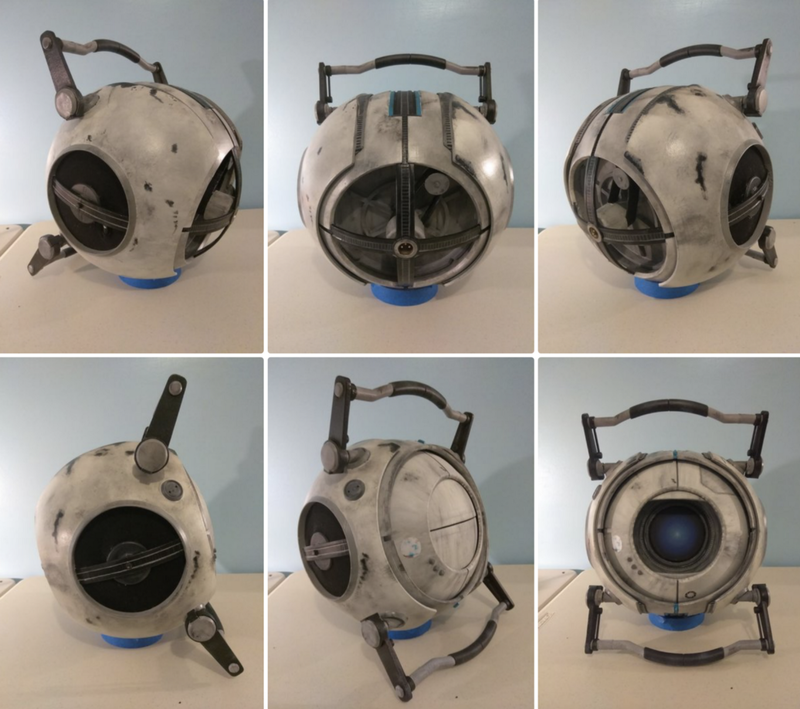 This real-life Wheatley was designed in the Onshape 3D CAD package, and features a giant eye assembly that can look up, down, left, and right, as well as twist to add a bit more personality. Aside from that, it has a pair of handles that can also move up and down, as well as a pair of eyelids that can move independently. The eye itself is a glowing blue orb, which looks fantastic, especially when surrounded by its 3D-printed body, decorated with the help of Albertson’s artist friend Heidi. If that wasn’t impressive enough, the orb is equipped with a sound board that enables it to spout off with up to 60 phrases Wheatley’s character. It looks great in the video below, and more info and clips on the build be found here. If you’d like to see it in person, Albertson will be wandering around with it — in a sort of custom baby carrier rig — at the Salt Lake FanX Comic Convention this September! Portal Personality “Wheatley” Constructed Over Two Years was originally published in Hackster Blog on Medium, where people are continuing the conversation by highlighting and responding to this story.